Look out New York, here comes GloZell, as well as Grace Helbig, Mamrie Hart, Joey Graceffa, iJustine and Connor Franta. 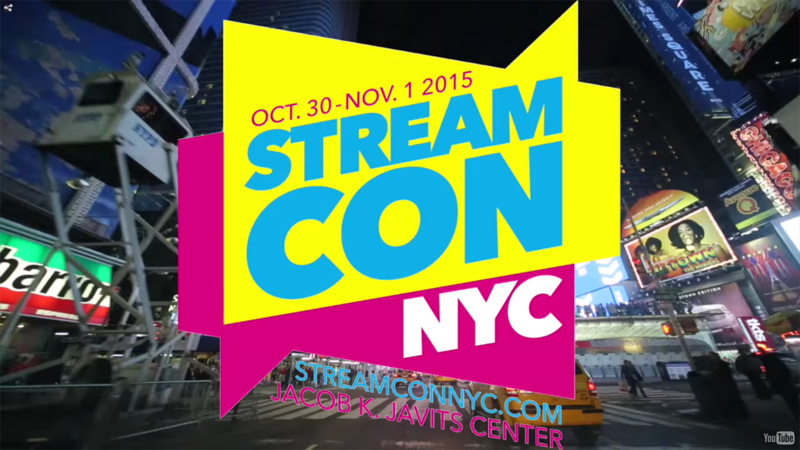 The stars of social video will gather in the Big Apple this weekend for the first annual Stream Con. The three-day convention, from the people who brought Comic Con to New York, will kick off Friday at the Jacob Javits Center with an Industry Summit, followed by fan events and a "creator camp" throughout the weekend. Event producer Greg Topalian, president of LeftField Media, spoke with Adweek about the goals of Stream Con and the inspiration from its West Coast cousin. Adweek: Why did you decide to start up Stream Con? Topalian: I couldn't believe that New York City didn't have an event that was a 'con' really dedicated to the YouTube, Vine, Snapchat space. We knew the fan demand was there, but the piece that got really exciting was realizing the business behind it. The ad dollars are flowing towards digital. There are certainly plenty of conferences that talk about the digital revolution and social influencers. We felt like there was an opportunity to combine that type of content but also in a fan-friendly environment. Your events are very fan focused, so how do you tailor that experience towards the business audience? We had a lot of conversations with brands and agencies upfront to say: "What do you want? What do you actually want this to be?" What we heard over and over was, "We're not looking for the big philosophical overview. Get down in the weeds, give us case studies and introduce us to the talent." It was a lot of "We know this is big, we know this is moving, there is not a client on our roster that's not asking about this. Get us the details and connect us with the right people." There is already a major online video conference, VidCon, that takes place in Anaheim, Calif. each summer. Was seeing the growth of that conference what gave you the impetus to hold a separate conference in New York? It felt like New York is where most of these industries actually are. I'm sure lots of agencies and brands go to that event as they go to other events. VidCon opened eyes and got people to realize how powerful this is. Let's do something like that in New York City. While VidCon has added more business attendees in recent years, it's still very much a fan event. Are you looking for Stream Con to be a more buttoned-up version? I wouldn't look at it that way. Our thinking was really about [trying] to bridge the gap between these two spaces. Give the industry what [it] needs, which fuels the benefit the influencer gets from attending. But this is a fan event—Friday night, Saturday and Sunday is really all about the fans. It's hard if you're not really familiar with this space. You can read all the stats and you can say 'this is where the dollars and eyeballs are going.' But until you actually see the interaction and the passion between the fans and the creator, it's a little hard to grasp. Which brands are expected to attend? AMEX, Famous Footwear, Ford, Gerber, IBM, Ikea, NASCAR, Nationwide, Nestle, Showtime, Cover Girl, Pepsi, Anheuser Busch, Scholastic, Marriott and Mattel. We've got a lot of agencies as well: Weber Shandwick, Y&R, Ogilvy, Digitas and J. Walter Thompson. A lot of these brands are being brought in by the agencies. This is easy because of where it is, that was always part of the plan. What do you hope the brands and agencies get out of this? To provide quality education and help unlock some of—when they're being candid—kind of a mysterious space. They know it's a big trend, they know it's going to become increasingly important. We're giving them a head start and introductions to be able to make things happen.